Please call us at 586-286-0050 if you don't see the appointment type or availability you are looking for. Dr. Winder is a family practice physician working at our Garfield office. She is board certified in family practice from the American Board of Family Medicine She is a member of the American Academy of Family Physicians, the Michigan Academy of Family Physicians, Michigan State Medical Society, Macomb ... Read More County Medical Society, and Alpha Omega Alpha Honor Society. 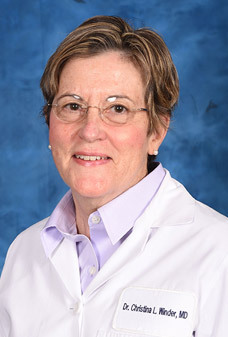 She graduated from Wayne State University and served a residency at St John Hospital in 1984. Dr. Winder has held a position as a Residency Preceptor at St John Hospital Family Practice Residency program.